Jumanji: Welcome to the Jungle tops weekend B.O. 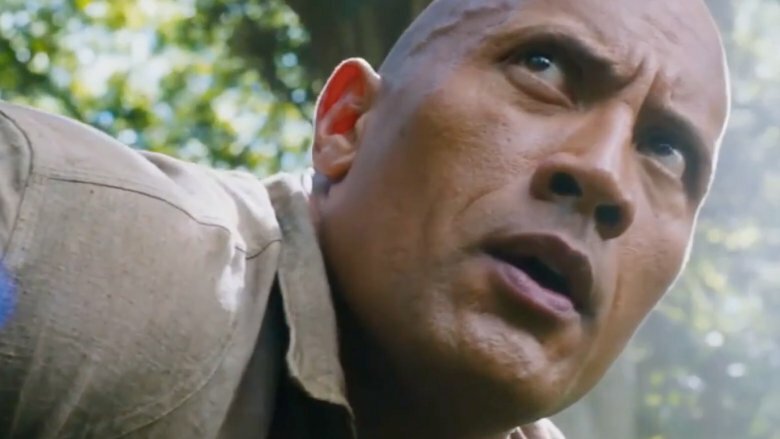 Jumanji: Welcome to the Jungle is officially a box office behemoth. The film beat out the wildly popular Star Wars: The Last Jedi as well as new horror release Insidious: The Last Key to earn the top spot for its third weekend of release, pulling in additional $36 million for a total of $244.3 million domestic. The Last Key is the latest outing in the Insidious franchise. The film features Lin Shaye as Elise Rainier, a parapsychologist who returns to the home she lived in as a child to investigate recent supernatural occurrences. Although it received negative reviews from critics with a 27 percent on Rotten Tomatoes, it still managed to top initial $20 to $22 million expectations with a $29.2 million second place opening. Third place went to Star Wars: The Last Jedi, which brought in an additional $23.5 million for a $575.5 million domestic gross. (The movie holds the title for the highest-grossing film domestically in 2017.) The film received a positive reception from critics, although it got a more mixed reaction from fans. Daisy Ridley, Mark Hamill, John Boyega, Oscar Isaac, Carrie Fisher, and Kelly Marie Tran star. Fourth place went to Hugh Jackman's The Greatest Showman, which continued to build on word of mouth for an additional $13.8 million. Pitch Perfect 3 took fifth place with $10.2 million, while Aaron Sorkin's Molly's Game took in $7 million in its first weekend in wide release. Gary Oldman's The Darkest Hour brought in $6.4 million for eighth place, while Ridley Scott's All the Money in the World brought in $3.6 million and took tenth place.